Tim Kerschner’s attachment to a solitary aspen on property he inherits goes much deeper than aesthetics. Can he make landscape architect Ryann Dean understand his refusal to let her chop down this single tree in a forest of them? Ryann loves her job in Bliss, Oregon. Junior high teacher Tim Kerschner, on the other hand, she’d be happy to have never met. The man’s handsome face loses any appeal in light of his arrogance and obvious inclination to violence—the latter of which Ryann despises for reasons close to her heart. 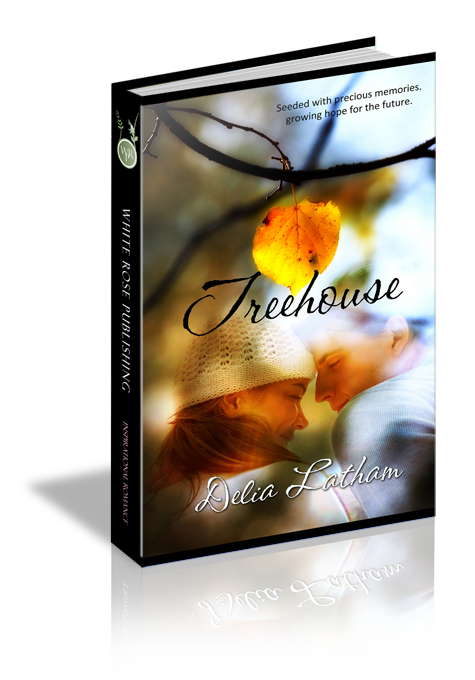 A visit to what lies within the branches of the controversial tree could give them both a whole new outlook on life...and on each other. Ryann Dean held to the firm opinion that last-minute changes to a perfectly good schedule never failed to bode ill for a project. So her response was a little less than enthusiastic when the first phone call on Monday morning punched a hole in her ten o’clock appointment. Adjusting her cell-phone earpiece with one hand, Ryann slipped the other arm through the sleeve of a favorite navy blazer. She jammed her right foot into a sensible white wedge pump, and then kicked at a pile of footwear on the floor of her closet. Where on earth was the other shoe? “You’re the boss.” As usual, Amy skipped all the fluff and got right to the point. The girl epitomized efficiency. So annoying. Would’ve been nice of Mr. Timothy Kerschner to provide a little advance warning. Ryann flopped down onto the bed and kicked off the shoes she had just stepped into. She snatched a thick planner, already mentally shuffling the list of appointments and tasks lined up for the day. She spent the next few minutes on the phone juggling appointments with two other clients. Each profuse apology raised her dander to a new high. Kerschner’s well-publicized generosity had won the heart of every parent, teacher, and public official in town. A sixth-grade English teacher at Bliss Junior High and great-grandson of one of the town’s founding fathers, Kerschner had inherited the large piece of acreage adjacent to the family homestead when his uncle, the last of the previous generation of Kerschners, passed away a couple of months ago. He gained instant local celebrity status when he offered a portion of the land to the school district to be used for new administrative quarters, thereby freeing up the buildings they were currently housed in for several more classrooms and a rather sizeable expansion of the library. Which was all well and good, but it didn’t give the man a right to play God with other people’s time. Nor would she allow a little schedule adjustment to spoil her day—not with such incredible beauty splashed so generously over the countryside on the drive from her cabin to the newly arranged first meeting of her work week. She never grew tired of the forests that crowded the back roads, which she chose whenever possible over the busier freeways. As always, she found herself soothed by the pine-scented air and the lush green of the Douglas firs marching up and down each side of the road. Here and there, a stand of hemlock, spruce or cedar interrupted the visual monotony, along with wild tangles of berry bushes and wildflowers spread out in a vivid array of vibrant color. Perfect. With the radio off, no one screamed out dark lyrics set to a cacophony of instrumentals that passed for music; no media evangelist pandered to the masses with more focus on bringing in an extra dollar than in reaching needy souls; and perhaps most pleasing of all, no reporter spread horrible news about random acts of senseless violence. Senseless. The only word she knew to describe the evil that men do. It made no sense when a mother walked into a convenience store for a loaf of bread and never walked out, but that’s what had happened to hers. Twelve-year-old Ryann had dealt with the loss with determined stoicism and the constant love and support of her father. What choice had there been? Still, she’d like nothing better than to make it through the rest of her life without hearing, seeing, or coming into contact with any kind of violence, random or otherwise. Forcing the errant thoughts to the furthest corners of her mind, unwilling to face the demons they awakened, she focused once more on the breathtaking surroundings. A smile of pure pleasure tugged at the corners of her lips, and she allowed it to come out and play across her face. Happiness was living in Bliss, Oregon. Question 1: Ryann forms a flash judgment of Tim based on his behavior at their initial meeting. Have you ever made the mistake of judging someone without adequate knowledge of their situation? What did you learn from that experience? Question 2: Ryann’s father makes a statement that “sometimes violence is the only answer.” Do you agree with that? Why or why not? Question 3: Tim’s bitterness against the drunken driver whose actions claimed his sister’s life still holds him in its grip years afterward. Have you ever experienced a situation in which you found it impossible to forgive? What, if anything, helped you overcome that prison? Question 4: When Tim shows up for their date in jeans and a sweatshirt, Ryann is shocked…and forced to either change out of her own fancy duds and go with the flow or send him away. What would you have done? Do you like spontaneity, or prefer a strictly planned and regulated life? Question 5: What do you think about the spiritual transference of heart/mind/emotions that Ryann experienced on the way to the treehouse? Why do you think God allowed her to feel Tim’s pain?